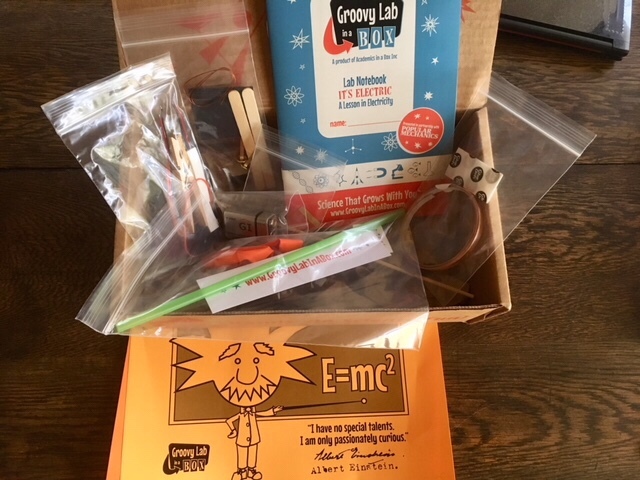 What the heck are subscription STEM/STEAM kits for kids? As a parent who usually ends up scouring the internet for STEM/STEAM activities, I surely appreciate these because they essentially come with everything we need!  There is no researching online for a project. There is no gathering of supplies. There’s no printing of directions. It all comes ready to go! Just open the box each month and get your kid(s) started. They’re a super convenient and fun way to infuse more science, technology, engineering, art, and math into your kid’s life. Admittedly, if you have really young kids, parental supervision and/or participatin will be required, but still(! ), super easy to make happen. We can see how it would be exciting for a kid to get one of these in the mail each month.  What kid doesn’t love to get a package in the mail? 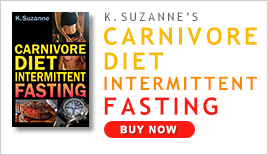 Here are the four subscription kits we evaluated! 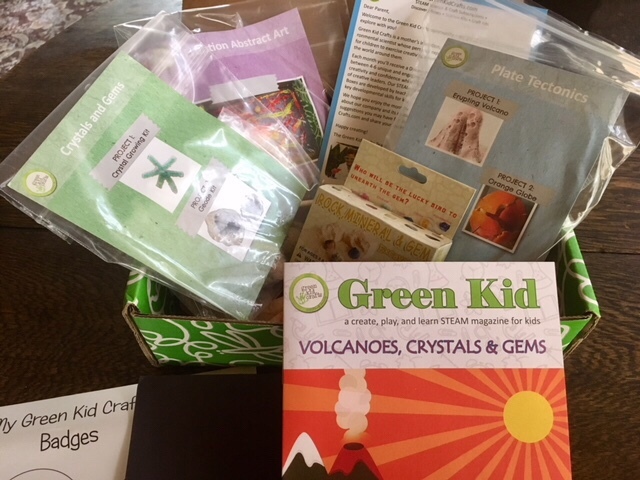 This subscription kit has art and science mixed. Cool. It’s a kit designed for kids ages 2 to 10. We enjoyed the painting activity using a marble to create art – that was new to us and opened our eyes up to many possibilities for future art projects. Our creative juices are flowing more than ever now. Then, there was Digging for Gemstones which was was fun, too. Though we’ve done that before, she was happy to do it again. 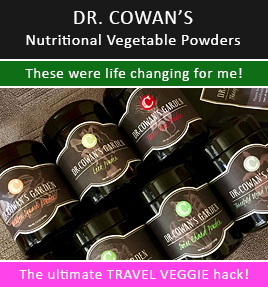 The volcano kit and the borax crystal growing kit – we have done those experiments before, too, but they’re still fun to do a second time. The kit also came with a tiny booklet with some additional activities and things you could do using things around your house. This kit was pretty enjoyable though, to be honest, she enjoyed the Green Crafts Kit better. She wasn’t as interested in the activities offered or their presentation; however, the circuit activity was indeed neat and it was some quality time with Dad when they did it together. I would be interested in trying another kit or two from them before making a final decision. Bits Box is all about coding. It’s designed for kids ages 6 to 12, but I think with a parent guiding, one could start younger. We were impressed with this box. We’ve done a few coding games/apps in the past and this was the most organized, easiest to follow, and gave a quick brief intro into how to code. 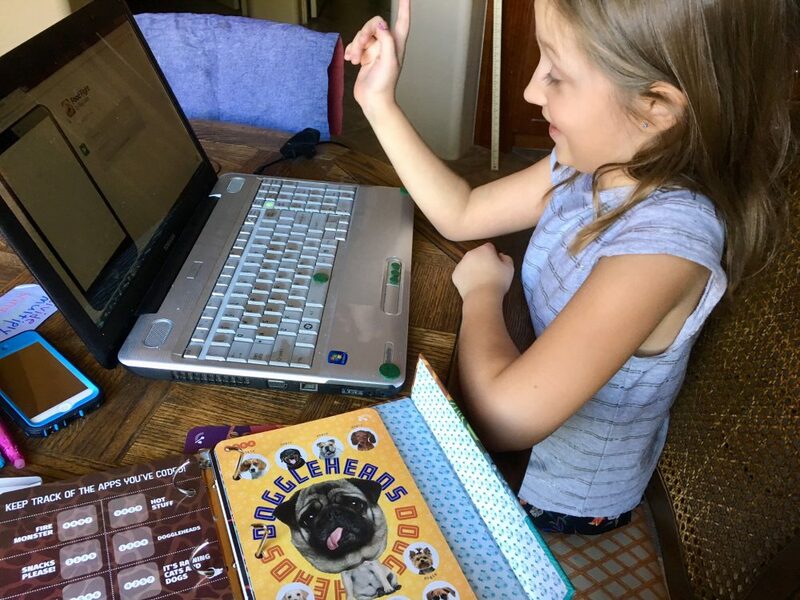 At first, Kamea was very interested in doing the coding a few days in a row, but after that lost interest because she wanted to have more variety. Or, maybe coding just isn’t her thing. Still, we were impressed with the quality of the folder, coding cards, and ease of getting started. She agreed that of all the coding things we’ve tried, this was the best. 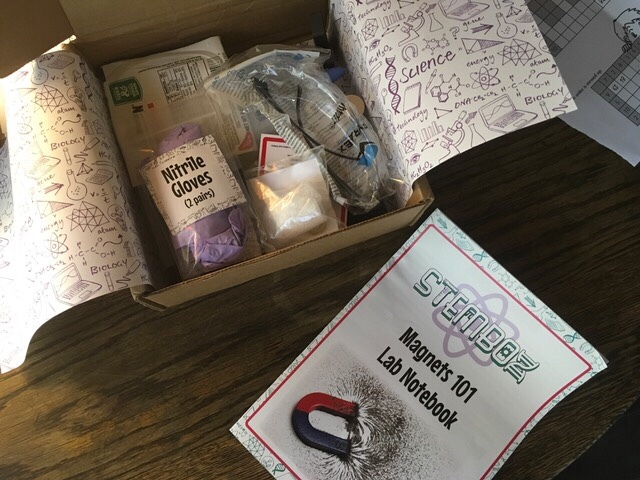 STEMBox, aimed at kids ages 8 to 11, came with a lesson in magnets titled, Magnets 101. I immediately loved this box from its centralized theme to the organization and presentation of it. Here is a list of some of the activities: Iron Cereal Chef, Floating Pencils, and It’s ALIVE(!). I like the glossary they included in the booklet, too. We enjoyed this kit, and it even came with safety glasses! The booklet was big, clear, and easy to follow. When you’re on their site, you’ll see they market to girls but the kits are appropriate for both boys and girls. We were happy to get all the boxes to try in exchange for a review. In the end, they’re all good, and which one is best will depend on your kiddo. I also think trying more than one from a company is a better way to know which ones are liked best. 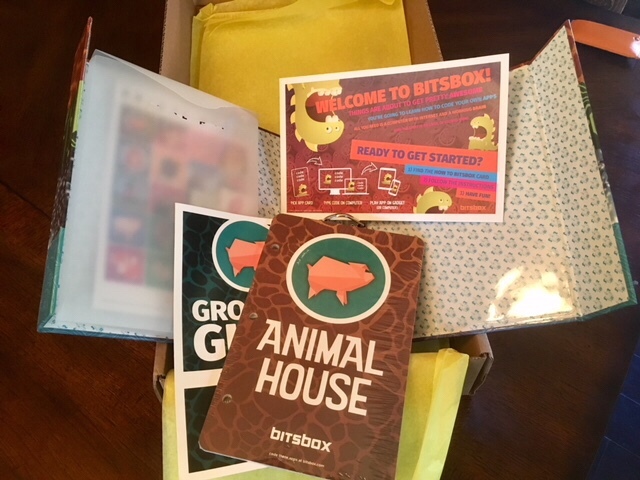 Based on our experience, if we were going to subscribe to one, based on just the one box we received, we would have a tie between Green Kid Crafts and STEMBox.